Think of all the cool gear you can’t live without: That perfect pair of on-ear headphones you take everywhere. The smartphone you can’t put down. The espresso machine that tames your coffee cravings. Today‘s must-have gadgets are increasingly dependent on technology, and the tech gear bandwagon continues to move along at a lightning pace. To help you keep up to speed, we’ve covered the full gamut of gizmo life out there. Not only that, but we’ve narrowed it down to 15 hi-tech gadgets that are beyond just cool; they’ll amp up your life, and get your friends buzzing to boot! 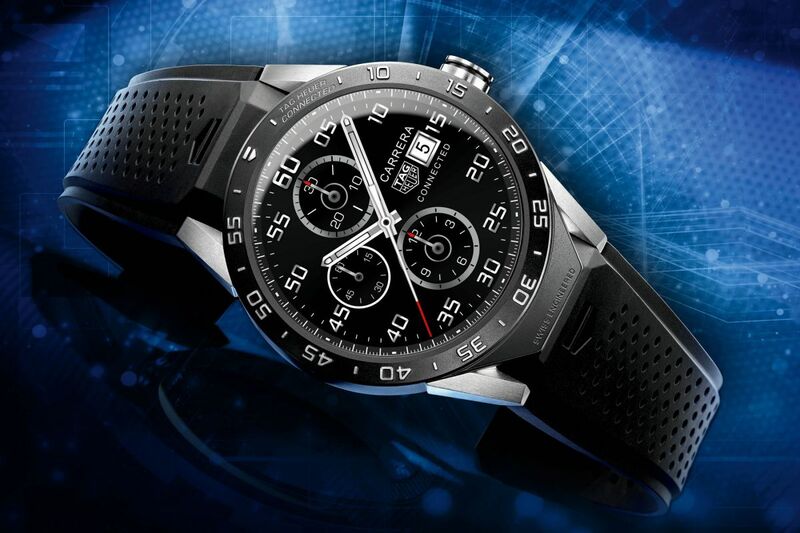 Feast your eyes on Tag Heuer Connected, a ridiculously good-looking smart watch that blends the classic Tag style with 21st century convenience. Made from grade II titanium, the smartwatch, which has a 1.5-inch display, is an Android Wear device with1GB of RAM and a 1.6GHz dual-core Intel Atom Z34XX processor – the first to make use of it. It also has 4GB of storage, Wi-Fi and Bluetooth 4.1 BLE, which beats the competition on paper. What’s more, the latest update comes with a number of important features, including emoji messaging, iPhone compatibility, and improved navigation. So if you’re itching for a useful device on your wrist and have the money, you won’t go wrong with this one. 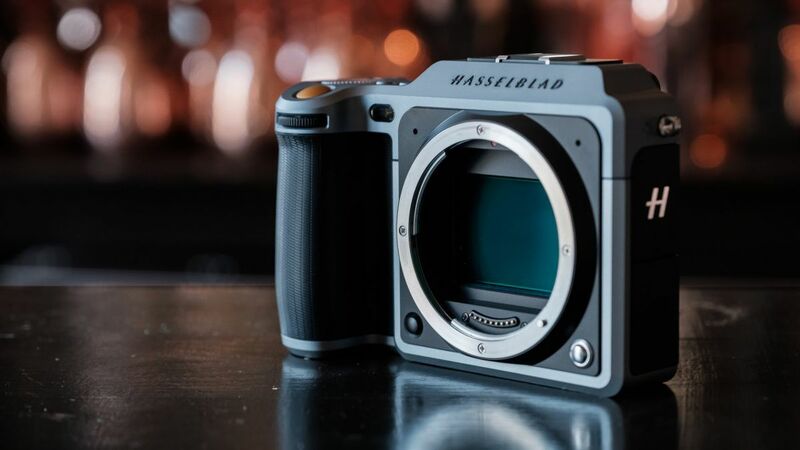 Amateur and pro photographers alike drooled with envy when Hasselblad unveiled the world's first mirrorless digital medium format model, the X1D. Designed to be user-friendly and highly portable, the compact camera has built-in GPS, HD video (records 1080p full HD videos with autofocus) and Wi-Fi included – which allows you to shoot with your smartphone. Handmade in Sweden, the X1D has a whopping 50MP CMOS sensor – no small achievement –that captures the finest details. Offering a wide range of shutter speeds up to 1/2000th second and an ISO range from 100 to 25,600, the X1D is ideal for passionate photographers who want to create the highest quality medium format images with an easy-to-use camera. A robust exterior that is dust and weather-proof, other features include a smartphone-style UI based on icons – that means you can pinch to zoom, and press to hold a picture. Now, aren’t you in love all over again? Until recently, it was difficult to get a good deal on hands-free, Bluetooth speakers. Affordable ones sounded terrible, others were expensive. Amazon Echo changes that. This tiny monster that has a number of voice-activated features is stylish, compact, and packs a powerful audio punch. But Echo is much more than a speaker. Once you plug it in, you can download the app that is available for Android, iOS devices and tablets. 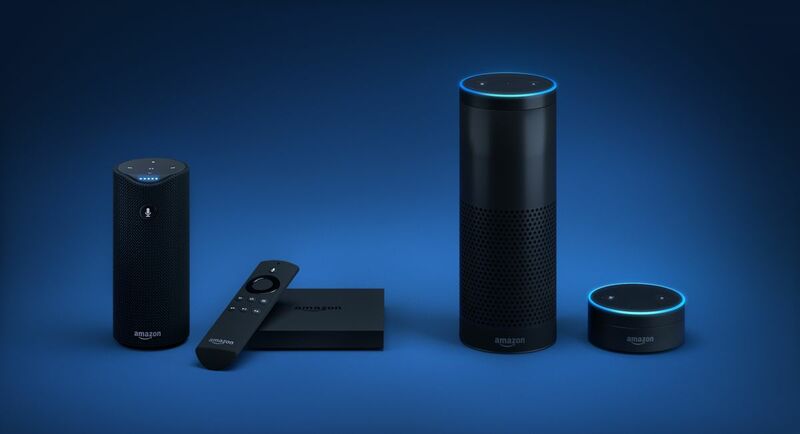 Echo’s USP is its voice-controlled personal assistant, Alexa, which enables you to check the news or weather, or issue commands to control your home. Other key features include reading you audiobooks and even letting you shop online without having to grab your phone. Although the Echo doesn’t have a built-in battery, it certainly makes the living room a more fun place. Watch out Siri! 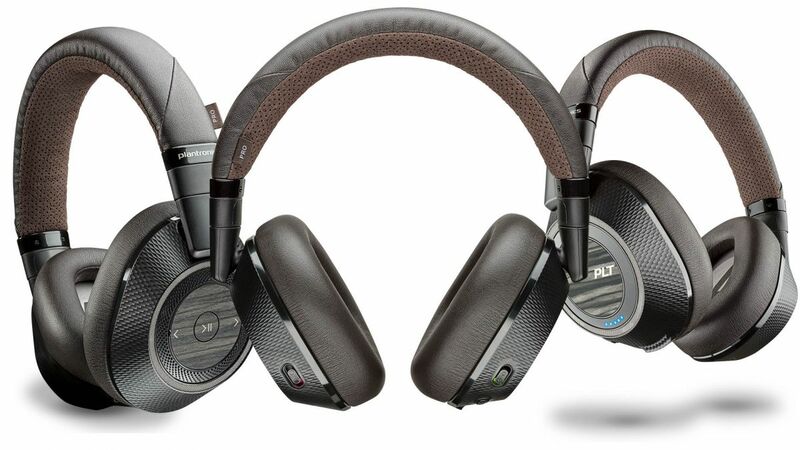 We admit it, from the moment we first heard of Plantronics BackBeat PRO 2, we were hooked. This no-frills pair of headphones is extremely well-built and offers a refined, semi-classical design with a touch of flash. The over-the-ear model proffers a decent array of features: The smart sensors automatically pause or resume your music as you remove your headphones; the full-size wireless provides a tight, noise-blocking seal; and it connects up to two devices at once. As for the sound, the PRO 2 is a notch up. Its thumping bass is a little tighter, there is sparkle to the well-separated treble, and the midrange is smoother and warmer. Coming to the voice calls, apart from letting you hear your surroundings better as you talk, the mute button on the right earcup allows you to mute your voice. Sounds good, doesn’t it? Jaws will drop. 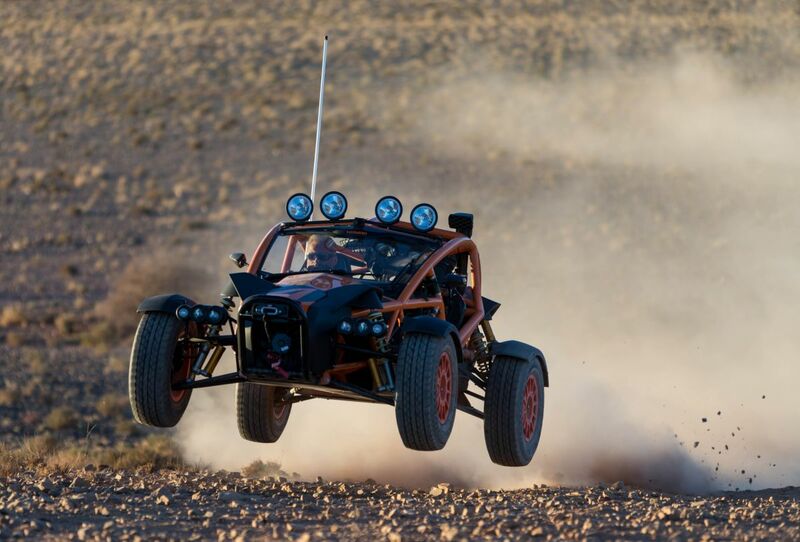 The Ariel Nomad is like nothing you’ve seen on the road before: It’s not an extreme sports car or an off-roader, but a combination of the two. It’s unique, purposeful and strong. Touted as one of the coolest buggies on the road, the exquisitely built Nomad from Ariel – the same company that makes the high-performance sports car Atom – dazzles the senses on the engineering, design, and visual fronts. Whether it’s on-road in the city, on a gravel track, a desert or just a green lane, the Nomad is not only practical, but is equally fun. Done in garish orange and black with chunky pipe work structure, Nomad comes fitted with a 2.4-litre, American-spec four-cylinder Honda engine that can reach a top speed of 125 mph. Good enough to make you grin from ear to ear. This masterpiece of craftsmanship with 235bhp/300Nm of torque on board is serious wild fun. By the way, you may now lift your jaw off the floor. 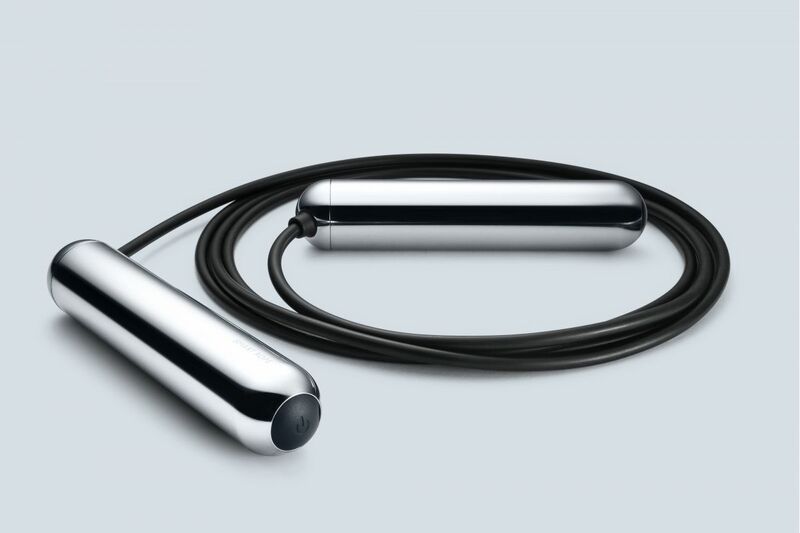 While fitness apps and wearables were burgeoning in popularity, it was only “smart” for Tangram Factory to merge a classic jump rope with technology. The Smart Rope is embedded with LEDs, which means it displays all your fitness data – even when the rope is in mid-air while you’re in motion. With three fitness sensors, the rope can only count up to four digits, although we won’t consider you human if you’re performing more than 9,999 jumps per session. Available in gold, chrome and black, we’re obsessed with its sophisticated handles. Moreover, the high-tech gadget that connects wirelessly to Android or iOS via Bluetooth can also be synced with the Smart Gym app, so that you can count your jumps– through the revolution of the rope and not just movement –calories burned, and workout times on the go. Who knew that working out could look so good? fine depending on what you’re making – a milk carafe, a cup warming surface, water tank and, of course, a frother. 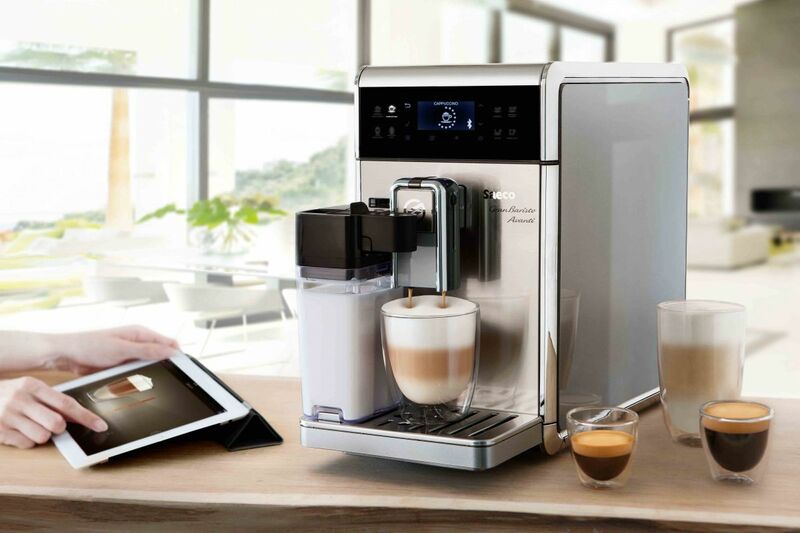 Great-tasting drinks aside, the fuss-free maker includes a control panel festooned with an LCD screen and buttons that will help you navigate its various menus. Some might baulk at Avanti’s hefty price tag, but there are few espresso machines as good-looking and full-featured as Philips’ latest machine. Here we are, hoping drones were on their way out. And then Ehang 184 chucked this passenger drone at us. Powered by electricity, the world’s first and low altitude Autonomous Aerial Vehicle (AAV) is capable of carrying around 100 kg of passenger and cargo at 100 kph for over 20 minutes. The only thing a commuter would have to do is enter a location in a GPS app, and the drone will do the rest. Resembling a small chopper, the 184’s AAV is designed with full redundancy and is embedded with fail-safe system that will immediately land in the nearest area to ensure safety in the event of an emergency. Weighing about 441 pounds, the 184’s communication system is encrypted and makes us wonder, is this the saviour everybody needs? 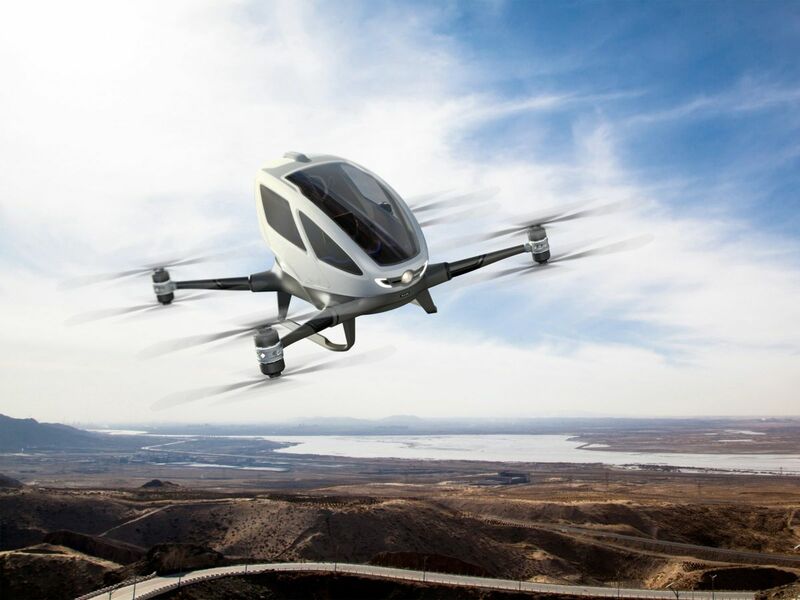 Well, we don’t mind hopping in a drone for our commute. Who would’ve thought that the path to nirvana lies in a smart wireless shortcut button that will change how you interact with the world? Meet the new Pebblebee Stone. An innovative, 23.5 square inch device that can be attached to anything and anywhere, in your pocket or on your keychain. 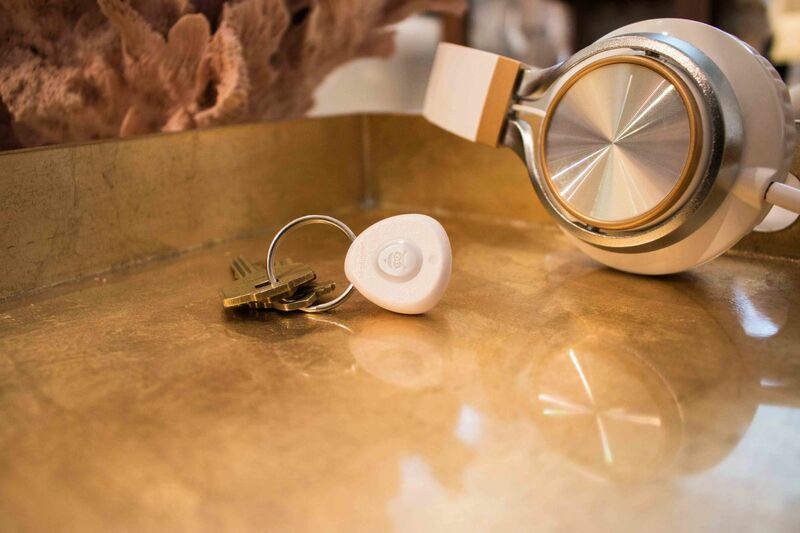 The Stone is battery-powered and uses Bluetooth to connect to your smartphone (either iOS or Android) via an app; it tracks your missing stuff and reports its location to you. But the truly compelling feature of the remote is its integration with IFTTT – a website that delivers a broad range of automation to the house – allowing you to do multiple actions at once. Say you need to send a tweet, control a light in the house, or brew a fresh pot of coffee, all you have to do is activate the feature on Pebblebee, and set up the same action by creating multiple IFTTT recipes. So, what are you waiting for? By going a step beyond and allowing you to play, touch and live the virtual world, Sony PlayStation VR is all set to crush in this virtual reality generation. Unlike the Oculus Rift and HTC Vive, the VR offers the best design, exclusive games, best performance and is more affordable. All you need is a PlayStation 4 and the upcoming powerful PS4 Pro. 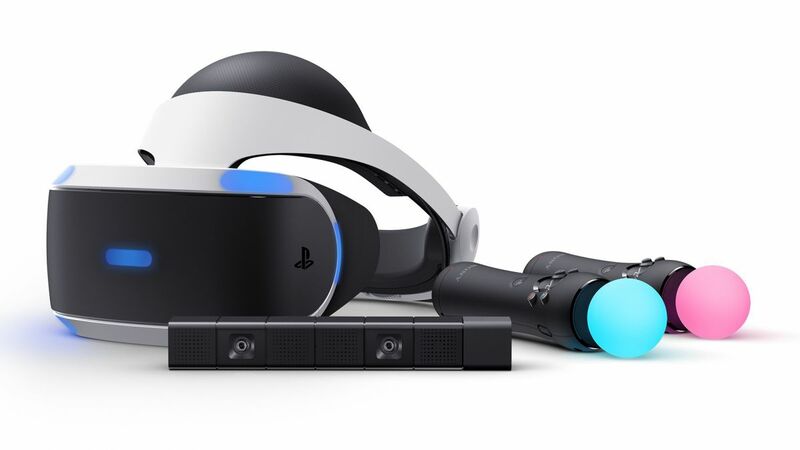 In addition, you’ll also need a PlayStation Camera and two Move controllers (the one included is limited compared to other two remotes) to use the PS VR, which aren’t included with the headset itself. Apart from this, the smooth and sculpted PS VR with a resolution of 1,920-by-1,080 uses an OLED display that is split into 960-by-1,080 images for each eye. It also has a processor unit that fits in easily with the rest of the PS4 family, making it a lot easier for people to use VR. Well, the future looks promising and we are crying tears of joy. Think & Learn Code-a-Pillar from Fisher-Price is not your average toy. Aiming to teach the basics of coding, this fun and interactive caterpillar will have your children enthralled for hours. The cool gizmo that comes with eight segments features a unique command icon on its base. Each module has a different function and once it is sequenced together, it enables the caterpillar to move in a different direction, while doing different tricks, or playing different sounds every time. The segment is connected via a USB port to pick the order. Code-a-Pillar also comes with a companion app that encourages kids to experiment with different patterns while developing important skills like planning and sequencing, problem-solving, and critical thinking. If your kid is going to be glued to a toy, make it this one. Chuck that big projector away. You can’t call yourself tech-savvy and still use a projector that weighs over 100kgs that no one else wants. Instead get yourself a nifty RIF6 Cube, a portable and elegant projector mirror that easily screens project content on mobile devices from a microSD card. Furthermore, with the help of HDMI port that is MHL-enabled, the stylishly geometric designed projector can produce an image of 120-inches. Oh, you also get to soothe your inner tech beast with internal speakers that deliver up to 20,000 hours of LED light, a flexible mini tripod for a seamless streaming experience, and how this extremely lightweight Cube provides great clarity and great colour output. So next time you’re bored in your room or in the boardroom, this itty-bitty portable projector, with its built-in speakers (it also has a headphone jack) and 90 minutes of playback time, should fit the bill perfectly. Pass the popcorn. Zenbo is fast. 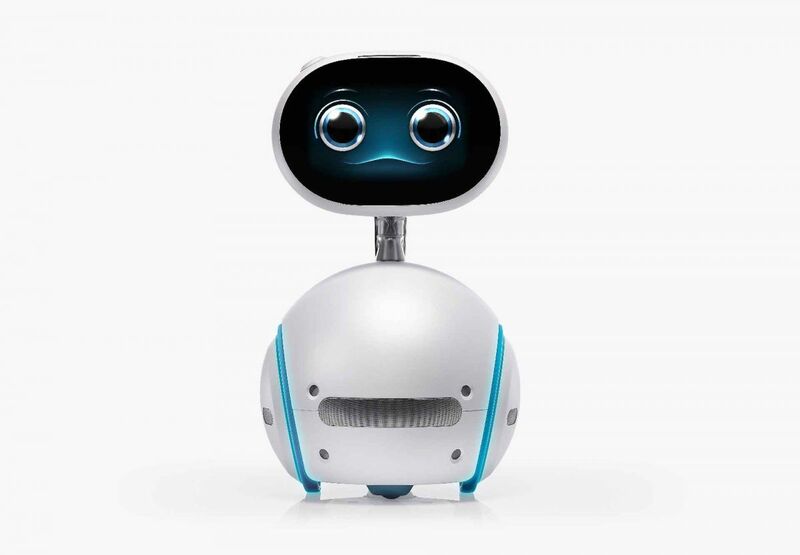 Zenbo is cute. Zenbo is your smart robot, and he is here to make your life better! Designed to provide entertainment, companionship and assistance, Asus recently launched a multi-faceted robot, Zenbo, that can wheel around in your home, assist with cooking – nope, it can just read recipes, not chop vegetables – recognise faces and speech commands, play games with kids, read stories and make phone calls. 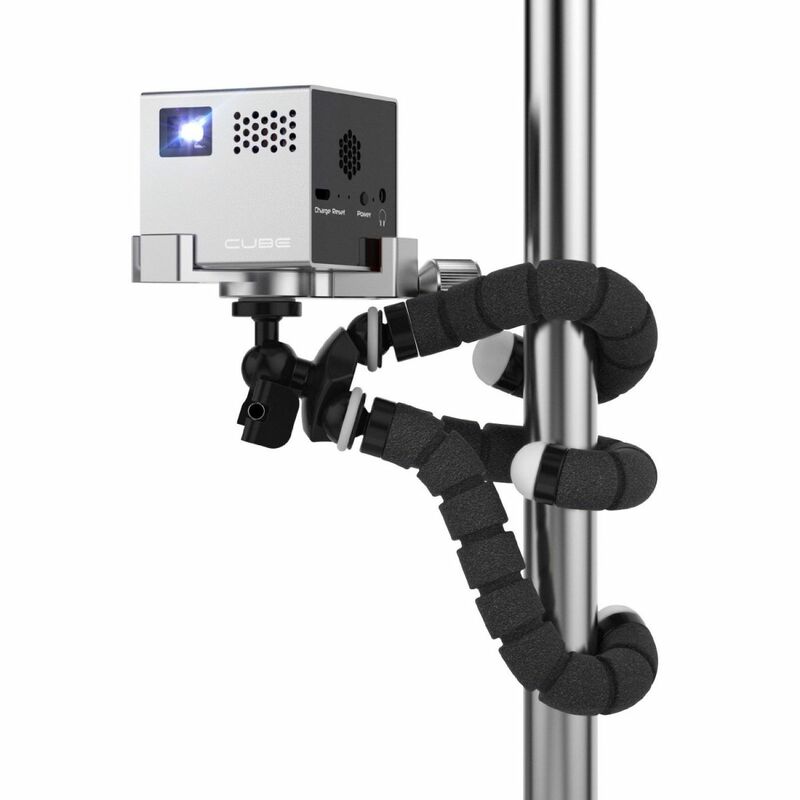 What it also does is act as an autonomous selfie stick, buy goods online by logging into accounts and inputting passwords via voice commands. The part home surveyor and part assistant, as it is called, can also display a range of emotions, thanks to its touchscreen face. Now, you can’t wait for Zenbo to greet you each morning, can you? LG has decided to break the TV mould by showcasing a rollable Organic Light-Emitting Diode (OLED) display at CES 2016 (Consumer Electronics Show.) The company, which has been romancing greatness ever since its inception, recently came up with a display so thin (0.18mm) that it can be rolled up like a newspaper and stuffed safely into a bag. 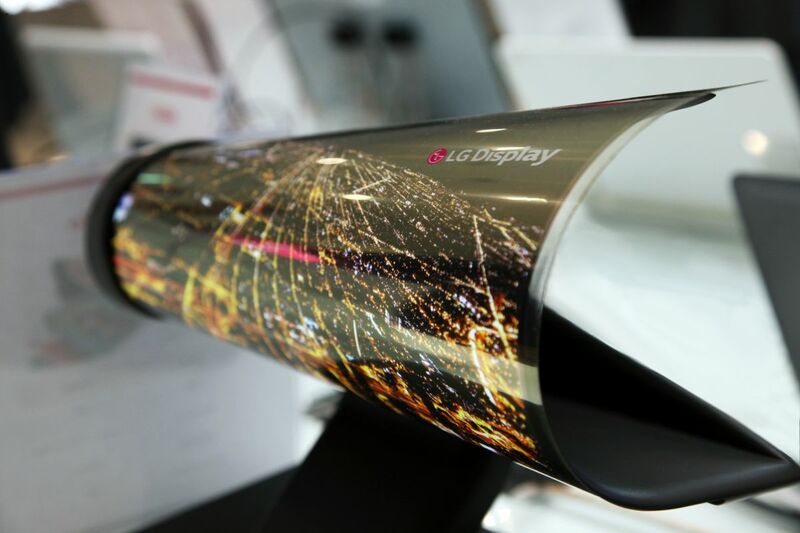 LG Rollable OLED features an18-inch screen packed with an810x1,200 resolution and 1 mm-thick OLED display prototype. Needless to say, the hassle-free portable technology is revolutionary, dreamy, and points towards an exciting future. We don’t know when it will arrive but, yes, we’re keeping an eye on this one! What would a perfect Segway do? Looks great, feels safe and provides a smooth ride. Ninebot by Segway MiniPro achieves all three with aplomb. Apart from the chunky tires that grip really well and a frame that’s built with durable magnesium alloy, this lightweight and compact device utilises precision sensors to help maintain your balance. This also means that the detachable knee control bar allow you to steer more easily than the previous two-wheeled hoverboards. 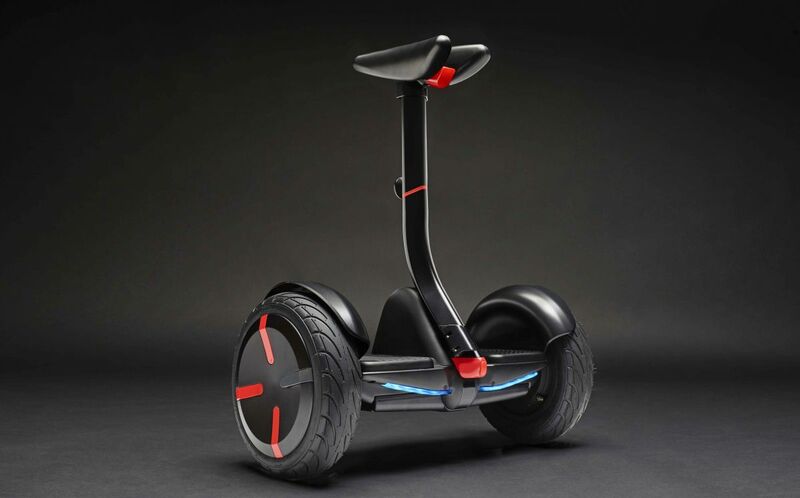 The scooter is controlled via Bluetooth, and comes with an app (Android or iOS) that monitors speed, safety and charge levels. The rigorously tested and certified miniPRO is available in two colours and weighs in at just 12.7 Kgs. It has a range of 14 miles, depending on the terrain, and can move at up to 10 miles per hour. We’d take this over a bike anyday!